The full moon on Saturday November 4, 2017 is at 12° Taurus. The astrology of full moon November 2017 is mainly influenced by Neptune. A positive link to the this spiritual planet will make you more sensitive, intuitive, emotional and romantic. The November 2017 full moon is also influenced by a strongly placed Venus. This planet of love is in the same place as the earlier new moon on October 19. This will enhance the good fortune of the new moon and bring friendship, love and romance, but only if you are patient, open-minded and flexible. The November 4 full moon at 11°58′ Taurus will stimulate your imagination and intuition because of a positive link to the spiritual planet Neptune. The are no major stars within range of the full moon but the Sun does line up with the main fixed star in the Southern Cross. This mystical star linked to Neptune gives a strong spiritual influence to the November 2017 full moon. As already mentioned, this full moon complements the October 19 new moon. At 26°35′ Libra, the new moon joined two very lucky stars. The full moon Venus now takes that same place. This gives an even stronger connection to the events of the last two weeks, especially in relation to your love life. Full moon sextile Neptune heightens your level of sensitivity and emotions. You will be more in touch with the feelings of other people and should enjoy the company of pleasant people in nice surroundings. The full moon will help you connect at a deeper level with your loved ones, especially family members, partners and women. Your intuition and psychic abilities will be stronger and more accurate than usual. Dreaming and imagination will be more vivid and creative. Full moon November 2017 provides spiritual or psychic protection for meditation, lucid dreaming and other spiritual or occult activities. The October 19 new moon at 26°35′ Libra brought opportunities for wealth, honor and success because of its alignment with the extremely fortunate fixed stars Spica (24°04′ Libra) and Arcturus (24°28′ Libra). Aspects to Saturn trine Uranus from the new moon means you should stay patient but also open-minded and flexible to unlock the treasures of the new moon. The full moon November 2017 astrology chart above shows Venus at 25°55′ Libra even closer to these lucky stars. This means the next two weeks of this spiritual moon phase offers you friendship, love and romance – but only if you are patient, open-minded and flexible. Venus opposite Uranus is exact only 20 minutes before the full moon. This usually signals a change in your love life. If you already have a partner, an unexpected event may cause tension. It may be that your need for a change or excitement in the bedroom is rejected. A healthy relationships would endure such transgressions and a permanent separation would be unlikely. An affair at this time would more likely lead to a rapid separation. If dating, a new romance now would be exciting but possibly short-lived. Whatever your situation, if love is not an option then change and excitement can manifest in another area of life. Financial windfalls are possible but you should be careful taking risks with money. The combined influence of a very spiritual full moon and a very lucky Venus means you can connect at a deeply spiritual level with your partner and loved ones. 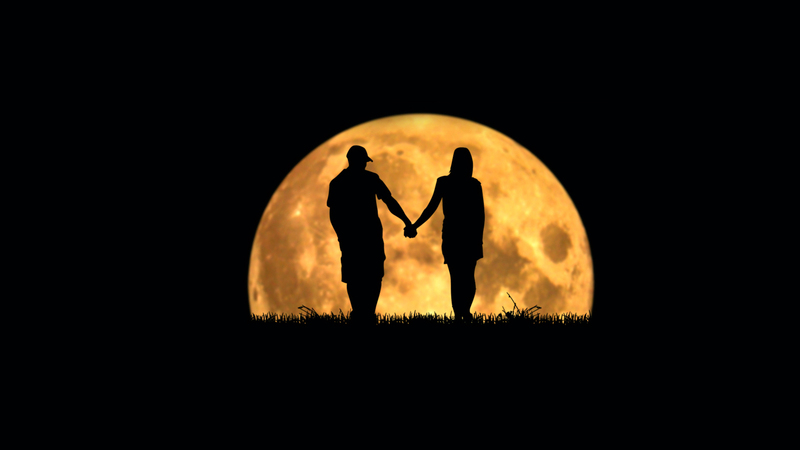 This romantic full moon is the perfect time to fall in love and find your true soul mate. If Full Moon November 2017 directly impacts your Sign and Decan you can read about it in your free Weekly Horoscope and Monthly Horoscope. For more detail about how it affects your natal chart see Full Moon Transits. 1. Fixed Stars and Their Interpretation, Elsbeth Ebertin, 1971, p.59. Would Transiting Venus at 25.55 be in conjunction with my natal mars at 29.16 or is too far? and would the full moon at 12 in Taurus be in the degrees to understand a trine with Juno at 16 and Jupiter at 17 in Virgo? Will Transiting Pluto support the moon? …this moon falls on my 10th house and virgo and capricorn are also work related houses…could that mean that the outcome is more related to work and money than love? Thanks! Anyway, I am happy to read any tips that could help me in my attempt to survive this forthcoming new hit on my Venus. Thank you for finding time to answer comments and hope everything is going well for you! I didn’t think about Uranus in transit but it is just at 3 degrees of my MC so it will activate again my MC/ IC angles (20 min before the full moon according to your post) and at the same time Saturn is making a trine to Uranus and a square to natal Saturn and Pluto in transit is making a trine to my Chiron on 10th and Jupiter n 2nd house (I know you don’t work with houses)…so would this change the situation and bring some unexpected work or family news to me? This full moon will be conjunct my Taurus Moon-Jupiter-South Node conjunction. (apex of Neptune- Pluto Yod) I am curious what it will bring except overeating????????????. Hi Alice. Because it activates a natal aspect pattern it would be helpful to read those aspect again, such as Moon conjunct Jupiter and Moon quincunx Neptune etc. The you can read Moon transit to all those planets. Thank you so much! Many hugs and all the best for you and your family. Would you consider describing aspects to North node on your website? Mine will be soon conjunct transiting jupiter at 12 Scorpio. ..
Hi Alice. I have actually been considering leaving the lunar nodes off my charts. I have an idea of how to interpret them from reading books but it is extremely difficult for me to observe their influence after years of following my transits in my diaries. It will be in my 10th house conjunct natal venus, ruler of 4 and 11 houes. In natal venus is trine with jupiter and samisquare with sun. My progressed sun now is in exact conjunction with venus. What to expect Jamie???? Expect lovely things because the full moon will activate your natal Venus trine Jupiter. See also Moon conjunct Venus transit and Moon trine Jupiter transit. So back in the summer (August) I had met a guy and we flirted a bit, but neither of us were ready at that time. I was dealing with my ex who had recently come back into my life and what not. A month later in September we were at my friends wedding (we met through her) and everyone kept saying VERY LOUDLY how we need to date and the brides mom called him out saying he needed to ask me out on a date. And he even said he wanted to. Anyways fast forward to a month later (2 weekends ago) we came together at my friends birthday party and actually took it even further than we have now with cuddling and kissing and I told our mutual friend that I was ready and was no longer dealing with my ex (even tho part of me still wants to but knows that I shouldn’t and that it won’t go anywhere). So then 3 days later I gave him my # so we can try to get to know eachother better and NOTHING. I’ve even tried to message him but no response and now I can’t figure out if he’s just shy and moves really slow or if he’s actually not interested. Anyway you could help? Awesome Article, something new !!! Venus and Apophis are conjunct my ASC with Uranus opposite..so I’ll be burning incense and diverting star influence in other ways.. If I started a writing project at the Taurus new moon in April, will this full moon give me the push to finish it in the 2 weeks following?